The Nunavut Business Credit Corp. refuses to publicly disclose the identities of its loan clients, despite the urging of a standing committee of MLAs and an opinion from Nunavut’s information and privacy commissioner, Elaine Keenan-Bengts, who says they’re no good reason why they shouldn’t. The Nunavut Business Credit Corp. says it won’t change how it lends money despite having to pursue the court-ordered bankruptcy for David Wiseman, the former owner of S & G Taxi in Rankin Inlet, who owed the government lending agency more than $1.1 million in unpaid loans from 2012. Wiseman’s financial mess isn’t representative of their lending clients, NBCC’s chief executive officer, Peter Ma, told Nunatsiaq News in a brief interview Aug. 23. “At this point we haven’t changed anything,” Ma said on NBCC’s lending policies and portfolio, which, as of March 31, 2016, total about $21 million in loans to 57 clients. 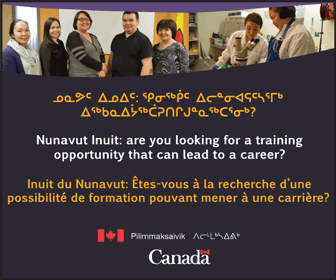 The NBCC is an arms-length lending agency for the Government of Nunavut. It lends public money to small and medium-sized businesses in the territory that do not qualify for loans from chartered banks. But Wiseman’s financial woes are not confined to the NBCC default. 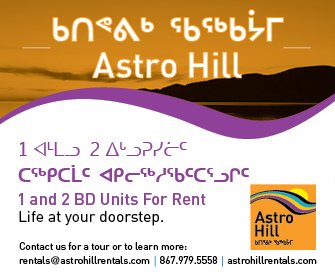 He owes an additional $100,000 or more in defaulted loans to the Kivalliq Business Development Centre, a regional entity similar to the NBCC. He also owes $59,432 to a private contractor and $1,440 in outstanding GST payments to the Canada Revenue Agency. The NBCC and KBDC have a working relationship, but the full extent of that relationship has not been made public. It is unclear if the agencies communicated with each other regarding the extensive loans to Wiseman. When contacted by Nunatsiaq News, the KBDC declined to comment on the total amount loaned to Wiseman, or when the loan was issued. In fact, a lot of things are still unclear about both the NBCC and its regional counterparts such as the KBDC. Despite the use of public money, the names of NBCC clients are not publicly released, nor is the agency’s internal decision process to grant those loans. Nunavut’s Standing Committee on Oversight of Government Operations and Public Accounts found that problematic and they said so in a report tabled in Nunavut’s Legislature in October 2015. The committee sought to understand the secrecy of the organization, which, a decade earlier, was publicly shamed by the Auditor General of Canada for a slew of irregularities and incompetent actions. In their review, the committee submitted a series of recommendations regarding transparency, such as recommending NBCC “explicitly account” for its lending actions taken during a fiscal year and disclose the names of its loan recipients. The committee also recommended that the NBCC table its “memoranda of understanding” with regional lending agencies, including the KBDC, at the earliest opportunity. “It is the standing committee’s position that the funds loaned by the NBCC to businesses and individuals are, ultimately, public monies, and should be subject to the same level of transparency and public disclosure as any other form of financial assistance provided by the government to individuals and enterprises,” the committee stated in its report. The committee contrasted the NBCC’s practices with those of the Northwest Territories Business Development and Investment Corp. which serves the same function as the NBCC in the western Arctic. The NWT body discloses the recipients of all financial assistance annually. “No evidence suggests that this public disclosure has reduced the demand for financial assistance from the corporation, or meaningfully impeded its mandate,” the committee wrote. But in her response to the committee’s recommendations, tabled in Nunavut’s legislature last March, economic development and transportation minister Monica Ell-Kanayuk offered little compromise. “While the government acknowledges its responsibility to be accountable for public monies, it remains concerned about the implications of releasing such information, which may be considered sensitive given the territory’s relatively small private sector and without advance notice to recipients,” the response read. “If financing is provided, the applicant provides permission for release of their name (if individual) or the company name (if a company) to the public,” reads the final point of declaration on the “Application for NBCC Assistance” form, which all applicants must sign. 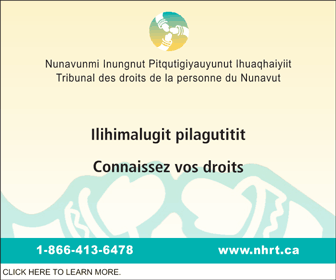 The NBCC also acknowledges — in its Business Client Consent Form for Use of Commercial and Personal Information — that it is subject to obligations under the Access to Information and Protection of Privacy Act of Nunavut and that recipients must consent to disclosure of all information relating to their loan application. Ell-Kanayuk says that consent is meant for internal use only. But she conceded that a new application form can be drafted in the future to clarify the NBCC’s position. “This is not intended as consent for public disclosure,” Ell-Kanayuk stated in her formal response to the committee. Nunavut’s information and privacy commissioner, Elaine Keenan-Bengts, disagrees, according to statements given to a standing committee for a review of her office’s 2014-2015 annual report. “Let’s start by saying that companies, per se, have no privacy rights under the ATIPP act. Only individuals have privacy rights. In my opinion, if I were asked to do a review recommendation on this, I would recommend that the name of the corporations and the amount they received be disclosed,” Keenan-Bengts told the committee, in reference to the NBCC’s practices. Justice Susan Copper declared Wiseman bankrupt in a civil suit launched by the NBCC last April. Wiseman’s assets were put in the care of the Edmonton-based bankruptcy trustee, MNP Ltd., for liquidation to repay his outstanding debts. Wiseman is currently facing two criminal charges of fraud related to an incident in 2013, where he allegedly defrauded his insurance company of $56,000.